Timeless modern, high quality soap dispenser. 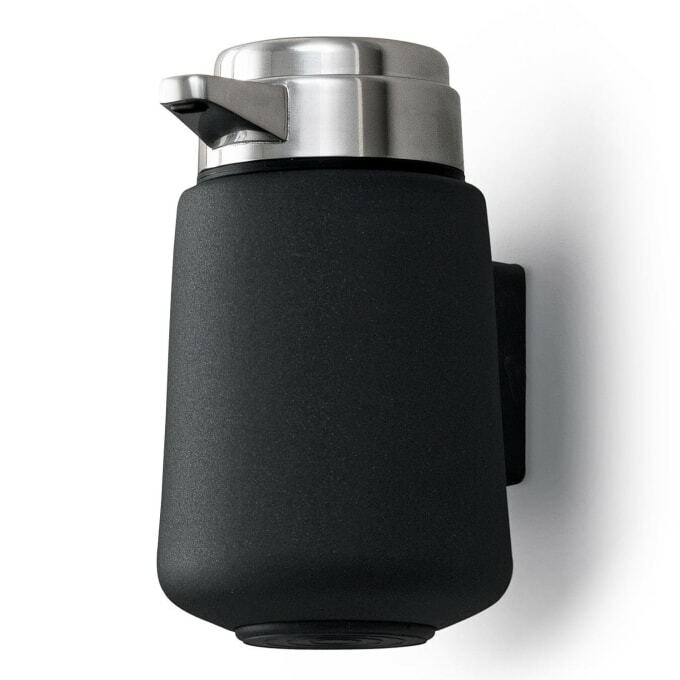 A specially manufactured pump, stainless steel and silicon rubber are the main elements in Vipp’s soap dispenser. Maintenance: Stainless steel surfaces should be cleaned and polished with a microfiber cloth, glass cleaner or other non-abrasive and gentle cleaning agents. Lacquered surfaces should be cleaned with a moist cloth. Rubber parts should be cleaned with a moist cloth. Apply silicone spray for better finish. Vipp products with dark surfaces should be cleaned with a soft brush and, if stained, with a bit of water. Then wipe with dry cloth. The very first Vipp bin was made in 1939 as a labour of love. Today, Vipp has developed into an entire family of products. The original bin has now been supplemented by a range of products ideal for bathroom, kitchen, bedroom and office spaces as well. Do you have a question about "Vipp 9W"? How can we contact you?